Play It Safe 2014 kicked off Tuesday, events begin Sat. More than 8,700 grads take advantage of Play It Safe prog. Are you finished with high school and ready to kick off an amazing summer before heading to college in the fall? If you answered ‘yes’ to the previous question, Senior week in Ocean City, Maryland is the answer you have been looking for. Senior Week in Ocean City is typically the week after your school holds graduation, so the deals and associated events run throughout June. Many Ocean City hotels offer Senior Week specials and Play it Safe (a local organization dedicated to helping senior weekers have an exciting and safe beach trip) hosts numerous weekly events, like beach volleyball, pizza eating contests, dance parties, and more, for FREE. Play it Safe also offers bus wristband that allows senior weekers to travel on the bus for free the duration of their trip. When is Senior Week 2019? Senior Week, otherwise known as Beach Week, usually happens the week following a high school’s graduation, so Senior Week on an individual basis totally depends on the school district and its scheduling. In Ocean City, the three or so weeks that tend to be overrun by the graduating classes tend to fall between the last week of May and the first two weeks of June. When you’re not bouncing around on the bus between free Play it Safe events, consider strolling the Boardwalk and checking out all the sights, sounds, shops, and rides; getting wet and wild with a jet ski, parasailing, or jetovator ride from Odyssea Watersports or the numerous rental companies in Ocean City; taking a trip to explore the serene beauty of Assateague, including its world-famous wild ponies; dancing the night away at H20- Ocean City’s only under-21 dance club; or just lounging on the beach while enjoying the freedom of graduation. Some people, usually the younger folk, associate Senior Week with good times, meeting new friends and maybe a little bit of nostalgia if their week has already passed. Others, usually the locals and long-time vacationers, aren’t as thrilled with the shenanigans that the high school grads tend to get into. PLAY IT SAFE sponsors special alcohol and drug-free events during June honoring high school graduates who choose to celebrate their graduation in Ocean City, Maryland. When Senior Week nears, you can find an updated calendar of free Play It Safe events, from bowling to beach sports to karaoke, on their website. Finding a condo or an apartment to rent out for the week is popular among senior weekers–mostly because, of course, it can be difficult to find a hotel to stay in when you’re under 21. Here are a few options. “All we require is one of the people be 18 yrs old and that the room is held with a credit card, even if they come in and split the room 4 ways with cash and debit cards…one will remain on file as the responsible party. I prefer to get a parent to put up this card because it makes the kids feel more responsible and more likely TO be able to put a charge on it if needed. We do charge for smoking in the room or for excessive cleaning (when the carpet needs to be cleaned etc). We DO NOT take an extra deposit up front. Many places DO, in hopes of either making money off the guests or because it’s actually good to have a guarantee payment for violations. “We allow kids staying at our property, we just have a special policy for them. Kids between 17-20 years old need to fill the under 21 form, which we email when the reservation is made. The form requires one of their parents’ IDs and a copy of their credit card. This request is for everybody who will stay in the room. Besides room+tax, we also require a $500 deposit refundable at check out. 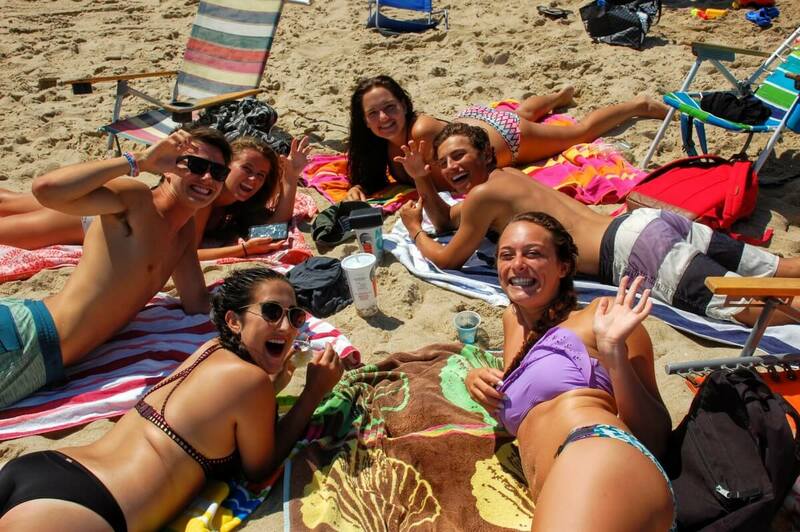 Regardless of how you choose to spend it, your college graduation isn’t complete until you experience the rights of passage known as Senior Week in Ocean City, so pack your bathing suits, shades, and suntan lotion, gather your friends, and head east for a week that you are sure to remember for the rest of your life. Making life-long memories isn’t always easy, but the following activity guide will help you to make the most of your vacation, and make you forget all about that summer job your parents are making you get when you get home.